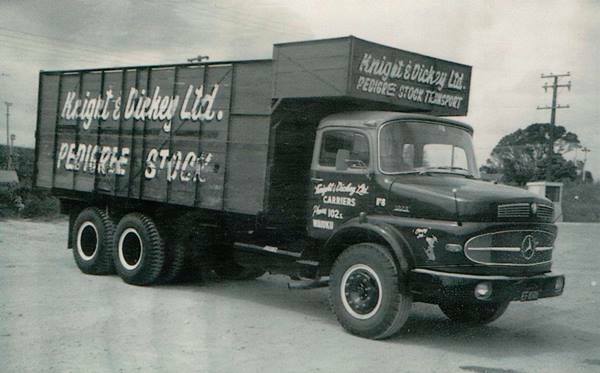 the district’s longest serving, family-run companies. After nearly 60 years working and adapting to industry changes, he is still hands-on and the trucks still roll out of the Collingwood Road site daily. Here Graham reflects on the firm’s beginnings. who had his own truck, suggested I buy a 50 percent share. was widely known and respected. communities by covering a variety of haulage and transport needs. Knight & Dickey’s 10-acre Collingwood Road site – bought in 1981 – is just out of town and still contains the former Waiuku Dairy Factory (built in 1915). That building serves as our maintenance workshop. 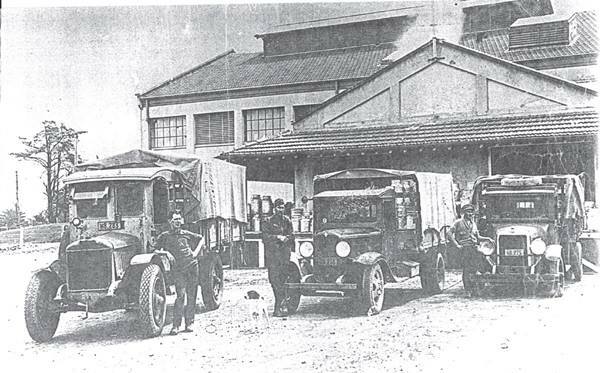 However, as the fleet grew – from one truck to our current 100 or so vehicles including 70 heavy trucks and truck and trailer combinations – we saw a need for more land. reinforced floor to store steel coil for the mill. But trucking freight is at our heart and today’s fleet consists mainly of Nissans and Isuzus although there is a good representation of other brands including Mercedes, International, Hino, Mitsubishi, Freightliner and some older Fords. Of course, there are always challenges – traffic congestion for one – but whatever the future brings I think we are up to it. I’m proud of our loyal staff , most of whom have been here for a decade or more, many longer, and I’m also proud that we still believe in supporting the local community including schools, businesses and community groups. The company continues to provide financial or transport support to many organisations including the local Lions Club, rugby and netball clubs and the Waiuku Business Association but our next big project, a museum, is still to come. With the combined efforts of his loyal despatchers and staff, Graham Dickey has poured heart and hard work into his transport business. But it could be said his soul has been given over to a very large collection of vintage tractors and other machines including motorcycles and a number of motor mowers, not to mention trucks and cars, all of which have been restored or are awaiting restoration. After purchasing the former New World supermarket building in Waiuku, Graham and his family have been working on plans for a museum to house his massive collection, which includes some rare tractors and machinery. “We’ve opened a cafe in the building, which is also located near the railway line to the historic Glenbrook Railway Station. In time we’d like to think visitors will train in here from Glenbrook, tour the collection and enjoy the outing,” Graham says.